The Body Attack Sports Nutrition XL Water Bottle has a capacity of 2.2 litres. 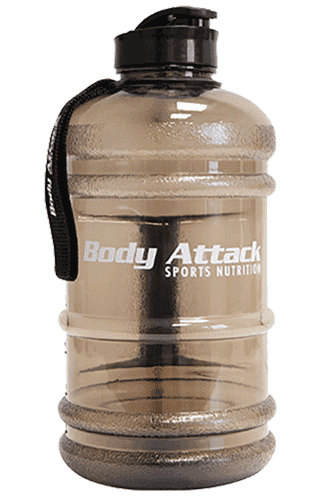 The Body Attack Sports Nutrition XL Water Bottle has a capacity of 2.2 litres and is ideal for your fitness training, for the office or during leisure time. It is the perfect match for your fitness drink.